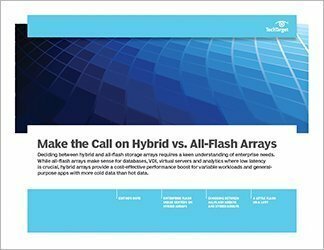 What's to gain by adopting all-flash arrays? All-flash arrays increase the number of VMs allowed per physical host. This affects the configuration, performance and even spending decisions in a virtualized data center. 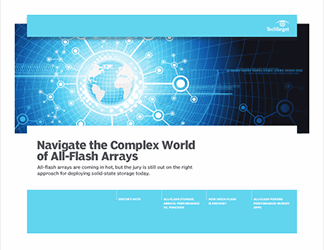 Powerful all-flash arrays compress data at impressive levels. 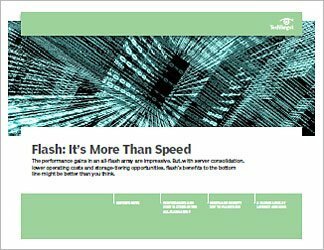 As a result, admins who put flash into action in a data center can improve storage performance and at the same time increase the number of VMs per physical host. This has effects on server selection, VM configuration and overall performance of an IT infrastructure. 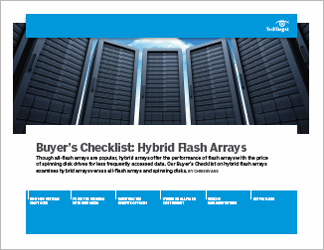 While there'll be reasonable concerns about the purchase costs, there are factors that can make calculating the ROI for an all-flash array less daunting. 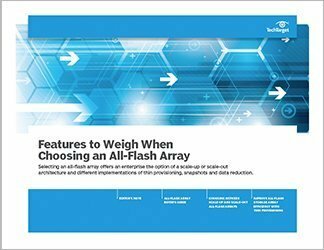 This three-part guide explores these issues and considers why an organization might consider adopting all-flash arrays.